During the decade now-retired federal U.S. District Court Judge James Redden spent rejecting Pacific Northwest salmon-restoration plans, detractors quietly pushed the view that he had become an "activist" judge partially blinded by personal opinions. Last week, a judge new to the case -- Michael H. Simon of Portland -- ruled on the U.S. government's latest revised Northwest salmon plan. 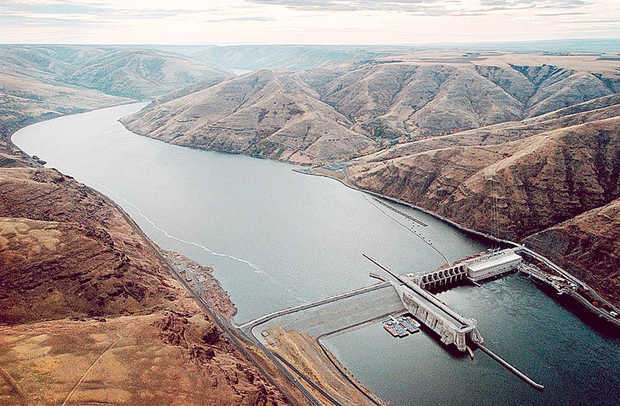 If anything, Simon was even less impressed with arguments by NOAA Fisheries, the Army Corps of Engineers and the Bureau of Reclamation, which claim they are doing enough to stave off extinction for 13 iconic endangered and threatened salmon and steelhead runs. The agencies have undertaken valuable habitat-restoration projects here in the Columbia estuary and upriver -- basically trying to do all they can for salmon, short of major modifications to the hydro-system. The Columbia is healthier thanks to the agencies, taxpayers and electric ratepayers. Restoring and protecting tidal wetlands, controlling pollution, dramatically increasing research and the level of monitoring of river conditions, controlling predation and other steps are all worthwhile. These efforts, sometimes coupled with favorable ocean conditions, have produced some decent salmon runs in recent years. But a run considered excellent in these times would have been viewed as disastrous in the pre-dam era. This year's predicted dismal coho returns underline the fragility of any recovery in current salmon populations.